At the heart of the appeal before the Court of Final Appeal in Astro Nusantara International B V v PT Ayunda Prima Mitra  HKCFA 12 was the appellant's application for time (pursuant to Order 3, rule 5 of the High Court rules) to resist enforcement of "New York Convention" arbitral awards in Hong Kong; in this case, awards made in Singapore. The appellant appears to have initially taken a conscious decision not to apply to set aside orders of the High Court granting the respondents permission to enforce the awards in Hong Kong and when the appellant eventually did so it was well over a year late. The lower courts in Hong Kong had permitted enforcement of the arbitral awards even though something fundamentally wrong appears to have gone on because, as a matter of Singaporean law, the arbitral tribunal had improperly joined certain parties (who had the main monetary claims) to the arbitration proceedings. The CFA held that the lower courts had erred in principle in downgrading the significance of the absence of a valid arbitration agreement between the appellant and the improperly joined parties. Further, the lower courts had erred in giving too much weight to the fact that the arbitral awards had not been set aside by the courts in Singapore, although the Singapore Court of Appeal had determined (on the appellant's challenge) that the arbitral tribunal lacked jurisdiction to make the awards in favour of the improperly joined parties. For practitioners it is important to note that the judgment of the CFA is not an invitation for late challenges to resist the enforcement of New York Convention awards in Hong Kong and in no way does the judgment undermine Hong Kong's pro-arbitration credentials. In this case, objectively viewed, something fundamentally wrong appears to have happened in the arbitration proceedings in Singapore, such that the decisions of the lower courts in Hong Kong refusing the appellant more time appear to have been plainly wrong. Therefore, although unusual in practice, the CFA felt entitled to exercise the discretion afresh to allow the appellant more time (in this case three months) to apply to set aside the orders of the first instance court granting the respondents permission to enforce the awards. As a result, the appellant has a final chance to persuade the first instance court to accept its jurisdictional challenge and to resist enforcement in Hong Kong. For dispute resolution lawyers generally, the CFA's judgment is an important review of the principles that underlie the grant of an extension of time (pursuant to Order 3, rule 5) where an applicant has not acted unreasonably and is not applying (for example) for relief from sanctions imposed for non-compliance with court rules or orders. 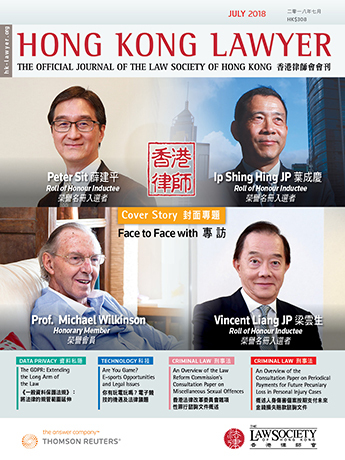 In such circumstances, the courts in Hong Kong should avoid a mechanistic approach and adopt an unrestricted approach taking into account all the relevant circumstances and the overall justice of the case. Therefore, the takeaway point is that it is important to consider the context in which an application for time arises. In this case, the appellant's versatility in choosing not to "actively" set aside the awards at the seat in Singapore but to "passively" resist enforcement in Hong Kong was reasonable and in the best traditions of the "choice of remedies" principle. That versatility appears to have been matched by the CFA's approach.